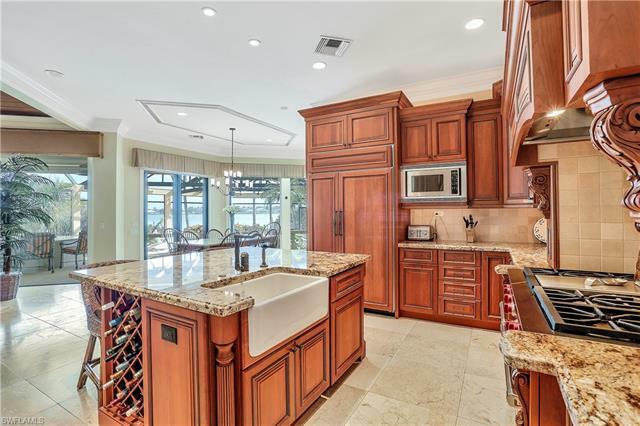 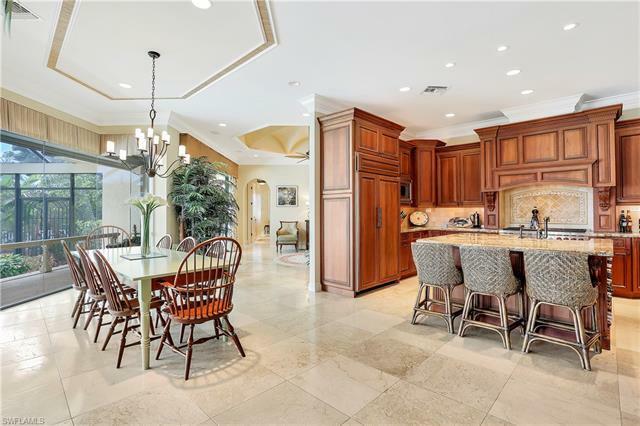 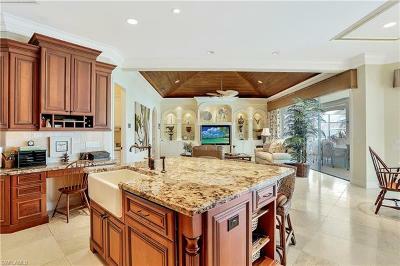 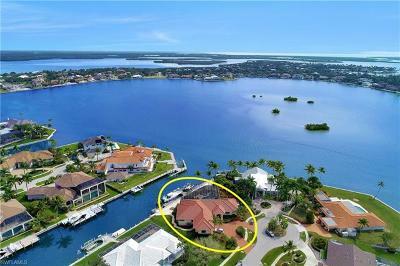 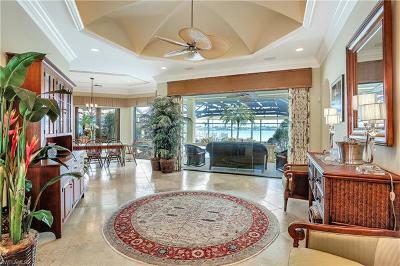 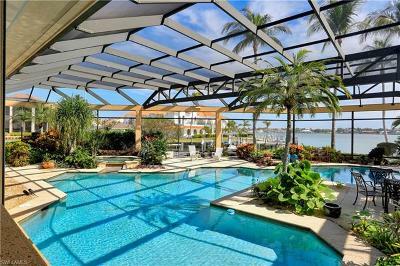 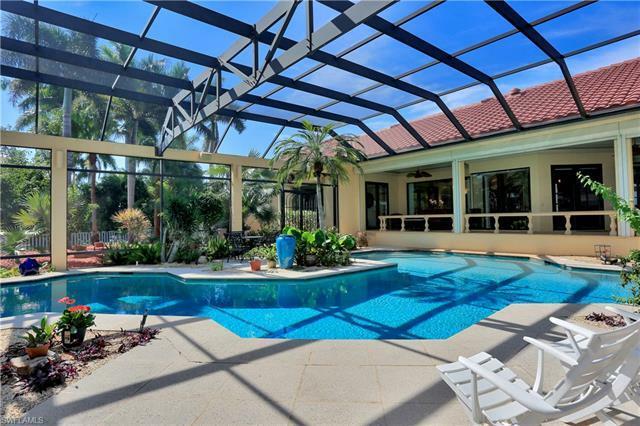 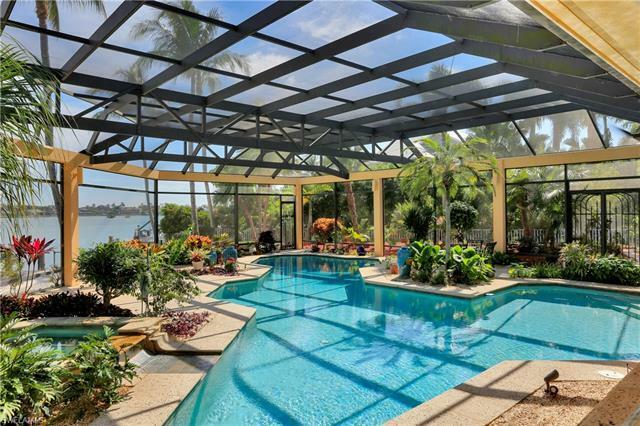 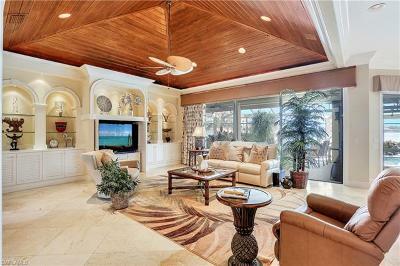 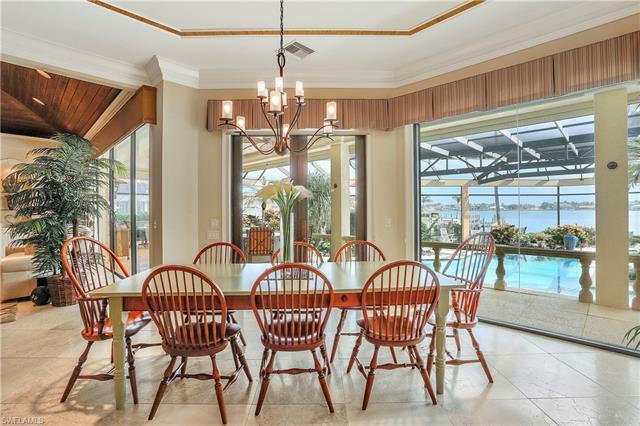 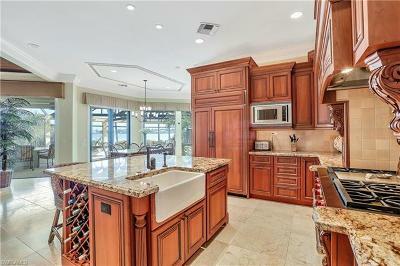 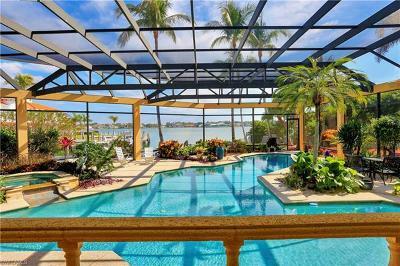 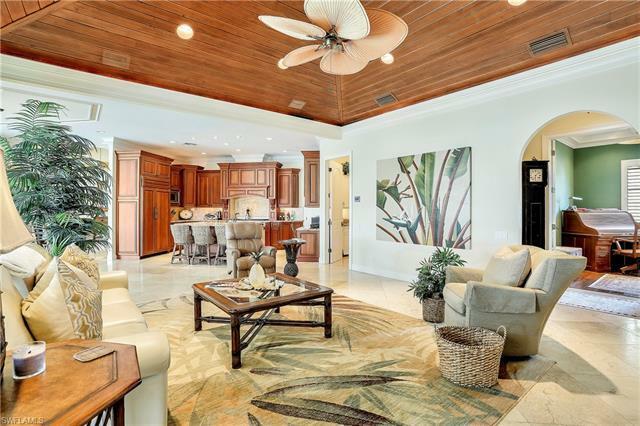 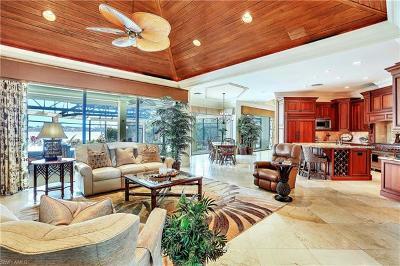 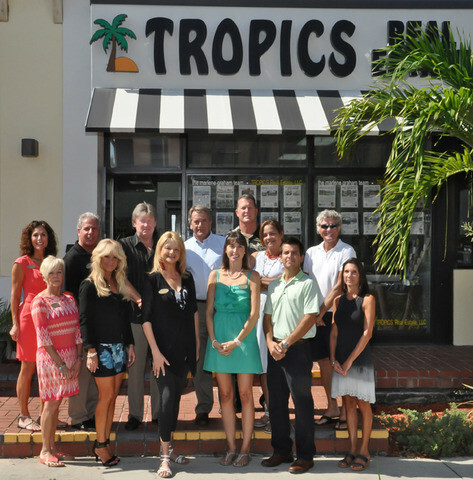 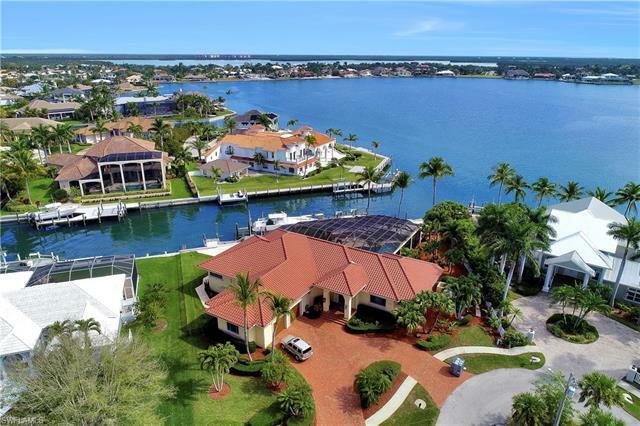 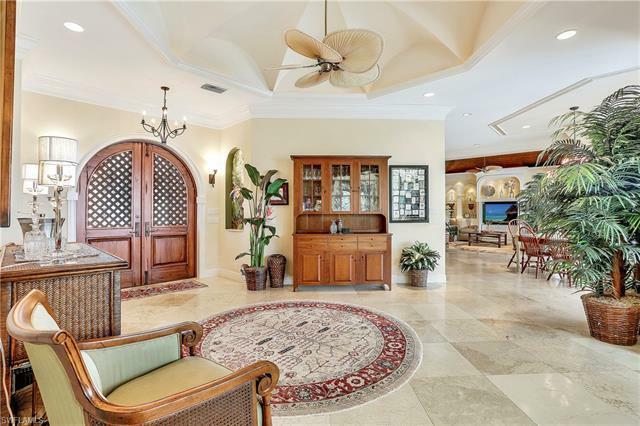 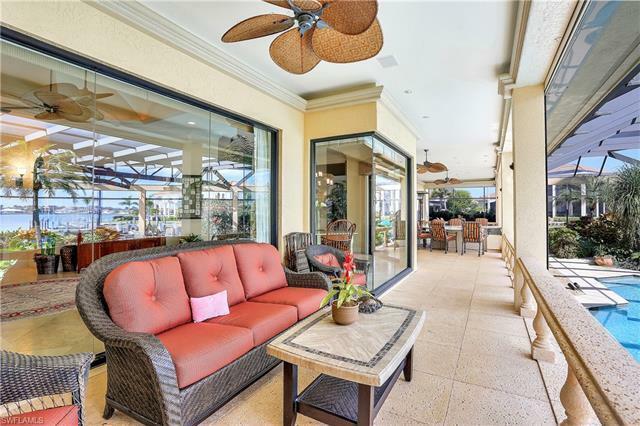 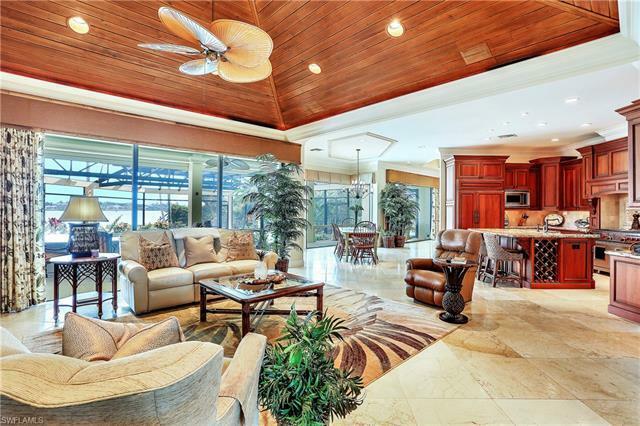 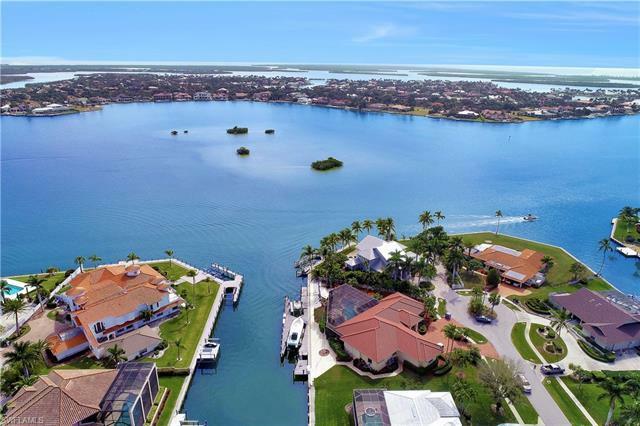 Walking in the front door you have a jaw dropping view of Robert's Bay in Marco Island Estate Section- you will be awe struck! 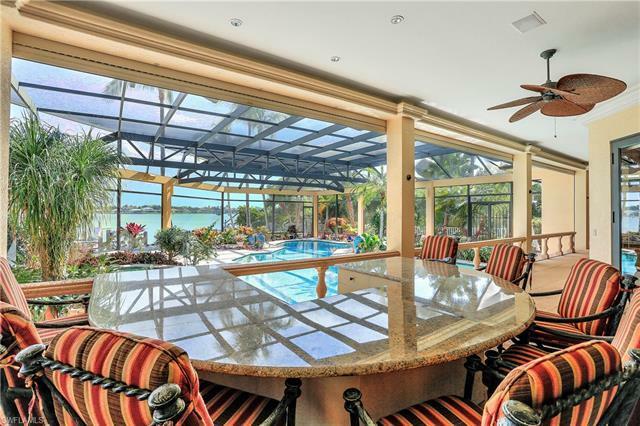 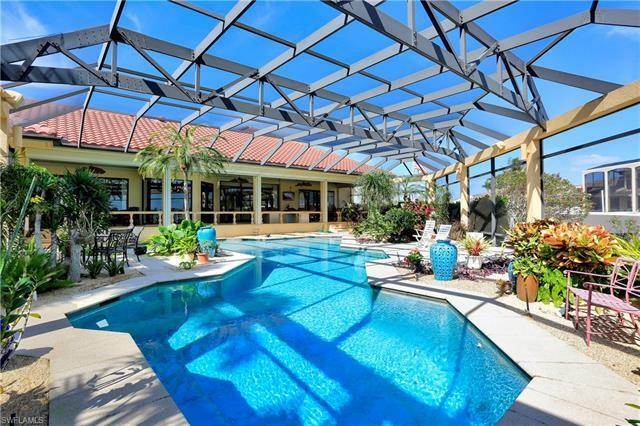 Once inside you ar in the Gathering Hall with almost 50 feet of glass for views of the very private pool deck with gorgeous landscaping and the huge bay views beyond. 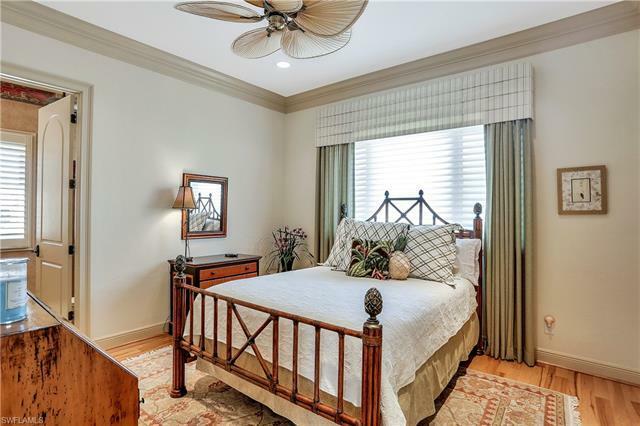 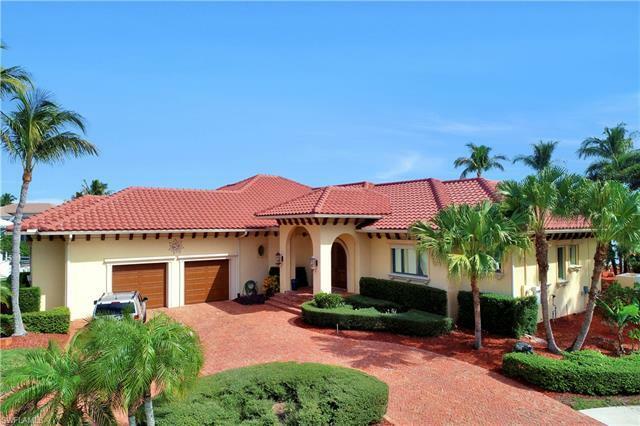 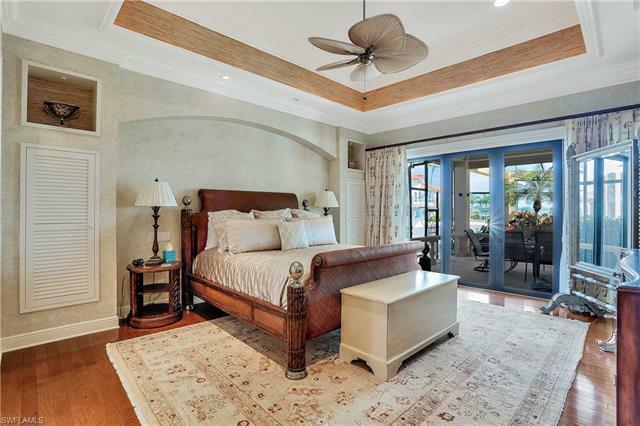 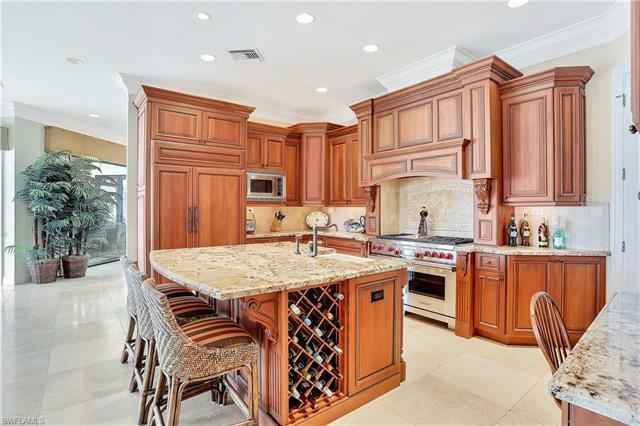 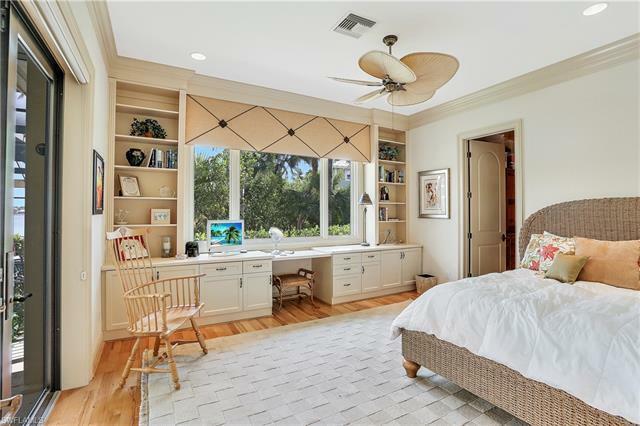 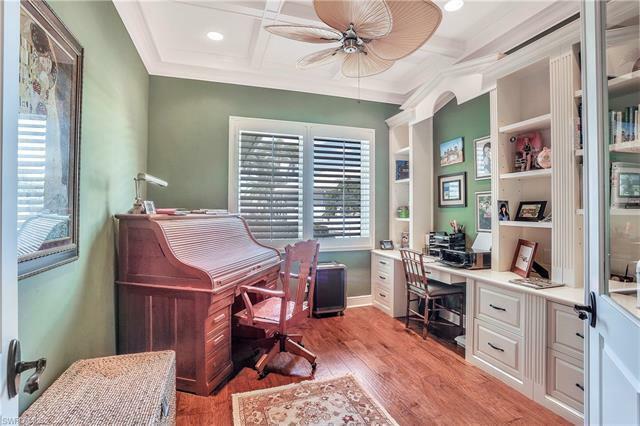 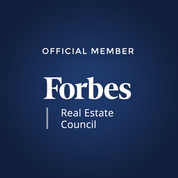 Only the finest of materials and finishes are found throughout this home.The home offers intricate ceilings, the master has a 10x 12 walk in closet, a large luxurious master suite bath (14x17 in total) with tub and separate shower and enclosed water closet. The new Island kitchen was remodeled and moved to open the entire back of the house giving you wide open views of the pool and bay. 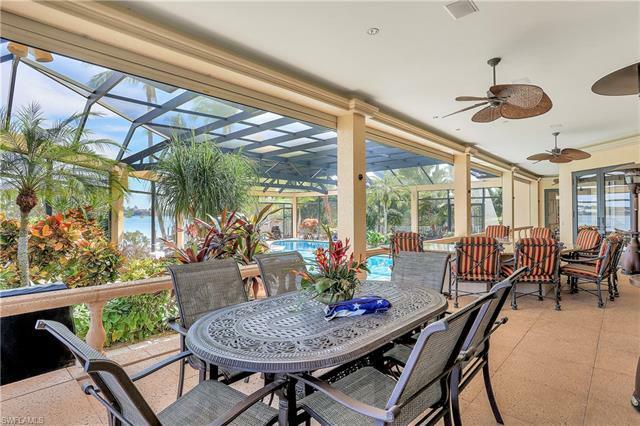 The covered area of the lanai is 64 x 14 ) offers a sit down wet bar and is totally closed off when you leave by electric hurricane shutters. 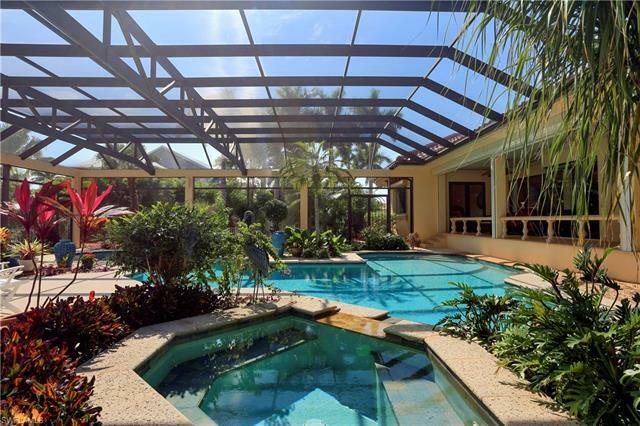 The roof was just replaced and was double screwed and has a 10 year warranty. 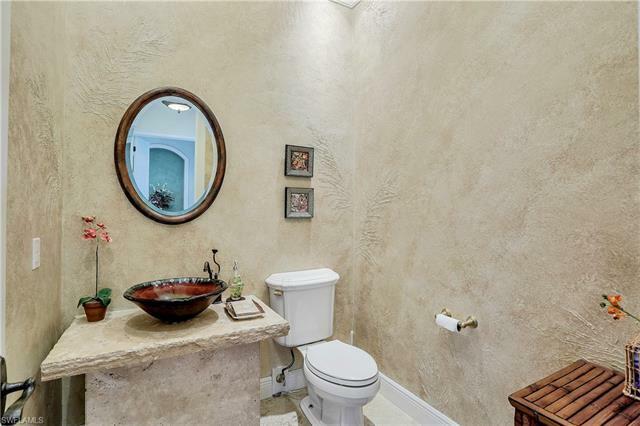 Each of the guest quarters have their own bath with showers. 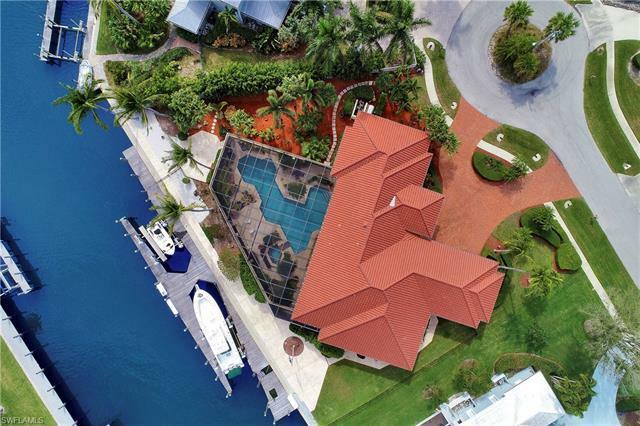 The Home was built by a high end builder/yachtsman for himself. 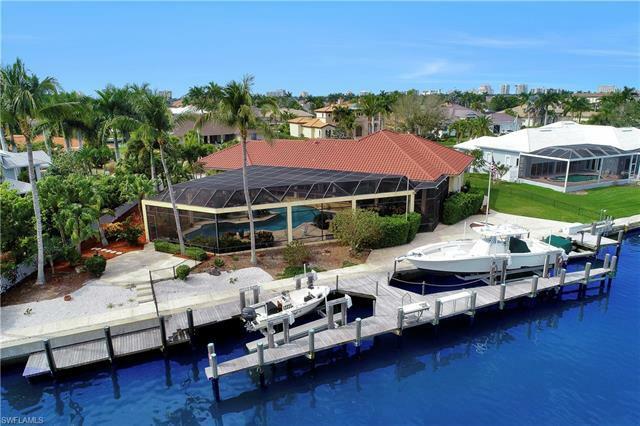 180 feet of water frontage gives you ample room for several boats. 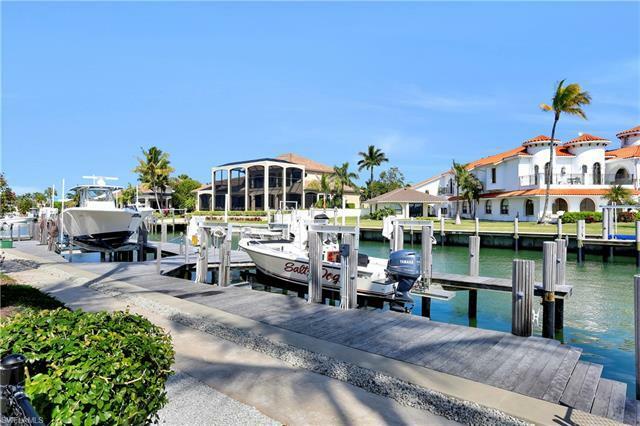 Deep water at the seawall gives you ample depth for larger yachts and protection.